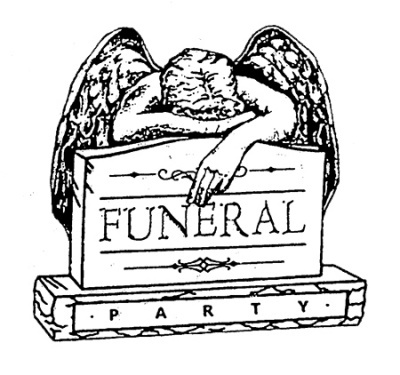 With a stable of releases by such bands as Death Bells, Fearing, and LACE, Funeral Party Records is one of the coolest record labels to emerge from the punk underground in recent memory. 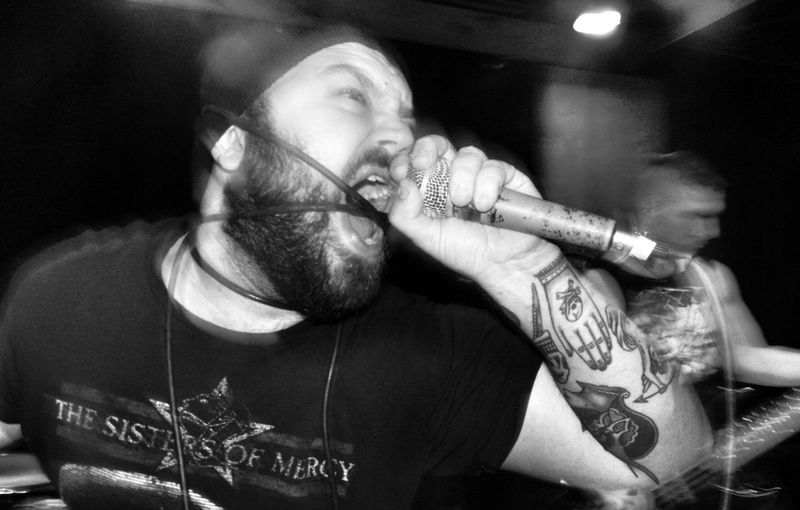 "I was hanging out with Nothing for a couple of shows in March of 2015 and somehow I had convinced Kyle Kimball, of Night Sins fame, to do a cassette release on my then non-existent label," Funeral Party Records founder Brian Cole tells me. "Over the next couple of months the idea of a collection cassette evolved into what became the first Funeral Party release, the Days on Shimmer and Drip 12” compilation, and I haven’t had a break since." Brian reveals some of his inspiration, from the label side of things. "Aside from the obvious Factory and 4AD influence, both Dais and Youth Attack have been a massive influence on myself and what I strive to do with Funeral Party. Both labels have carved a path of their own in the underground community and have done so with top shelf releases, in terms of both music and packaging." I'm glad he brings us the visual component of Funeral Party because there is a definite aesthetic tied to label so far. "The aesthetic is everything. Funeral Party releases span the spectrum of 'dark music'; from industrial influenced darkwave bands such as Night Sins and Buzz Kull, to aggressive punk rock like Savage Blind God and LACE, and straight up post-punk ala Fearing, The Column, Death Bells, etc. We’ve even worked extensively with Draa, who wore their love for Britpop on their sleeves. If the aesthetic fits and I love the music, I’m open to doing a record." As I always do in these Record Label Profile pieces, I ask Brian about some of the best aspects of running Funeral Party. 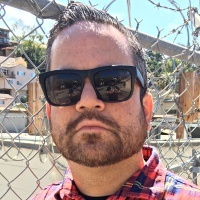 "A few of the highlights of running the label would be forming relationships like minded individuals from across the globe and hearing new music before anyone else. It’s always a good feeling to receive the final product of a release, as well. I’m an avid record collector and Funeral Party exists only to release records that I want to own on vinyl." On the other side of that conversation, Brian gives me some of the worst parts of doing what he does. "The hardest part of running the label is feeling like I’m always on the clock. I work 40+ hours a week at my day job and try to handle Funeral Party business during nights and weekends. Sometimes it’s pretty difficult to keep up, plus I absolutely have to be hands on, so I refuse to let anyone help." 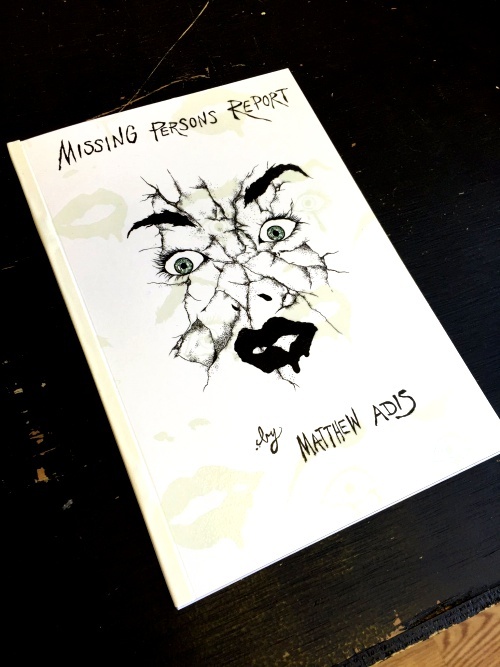 "While I stand behind every single release in the Funeral Party discography, a few personal highlights would have to be the Nothing POSHLOST 12”, Night Sins Dancing Chrome LP, and the book that I released for Matthew Adis, Missing Persons Report. I had been avidly following all of them for years prior to the formation of Funeral Party." How about his pick for Funeral Party's most underrated release? "Jon Edifice’s self-titled LP, easily. This is a record that is, in my opinion, criminally underrated. 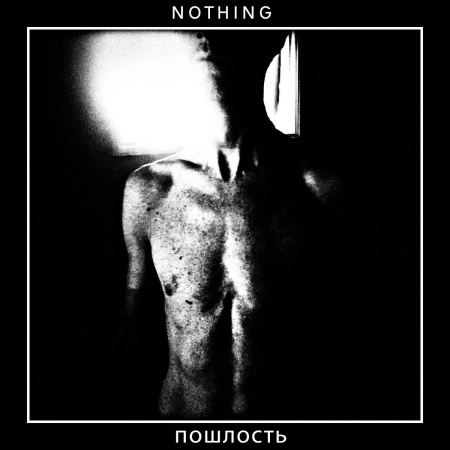 Mysterious post-punk that sounds like Rudimentary Peni, Crass, and Crisis thrown into a blender and spit out through a 4-track recorder. " Brian leaves me with a teaser of sorts: "After the release of Buzz Kull’s New Kind of Cross LP, I plan to take several months off and return in the spring of 2019. I can’t really say too much yet, but expect new records from Night Sins, Fearing, and a few other surprises as well." Funeral Party Records has an official website/store, plus you can find the label on Twitter and Instagram.